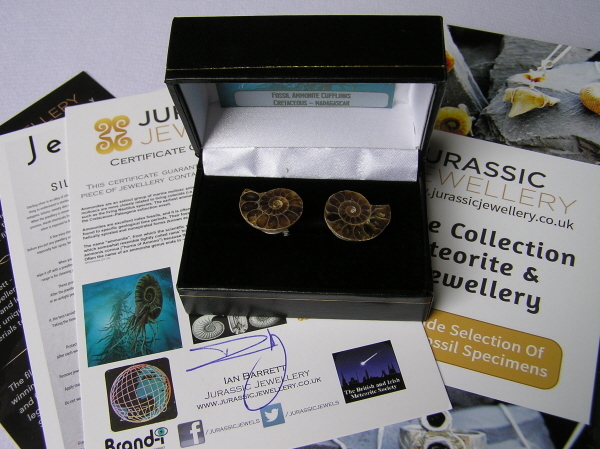 If you are looking for unique and unusual gifts for men - what could be more exciting than a stunning pair of cufflinks made with real fossils. Every pair is totally unique and with millions of years of history on his wrist will be a talking point for YEARS to come! 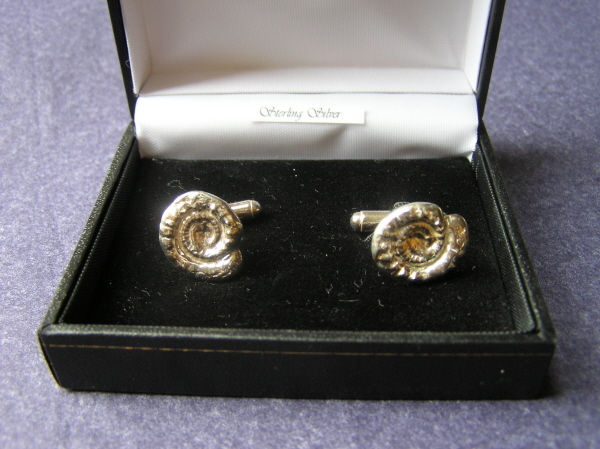 Small but whole Fossil Ammonites have been mounted on silver plated cufflinks. 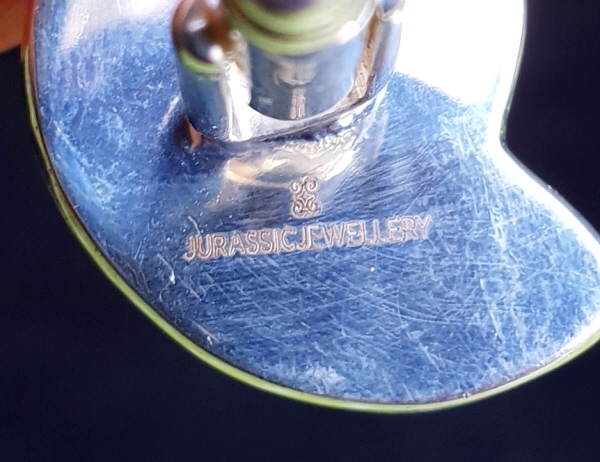 BOXED in a a high quality jewellery box and complete with a signed certificate of authenticity - and make a truly unique gift for any man! 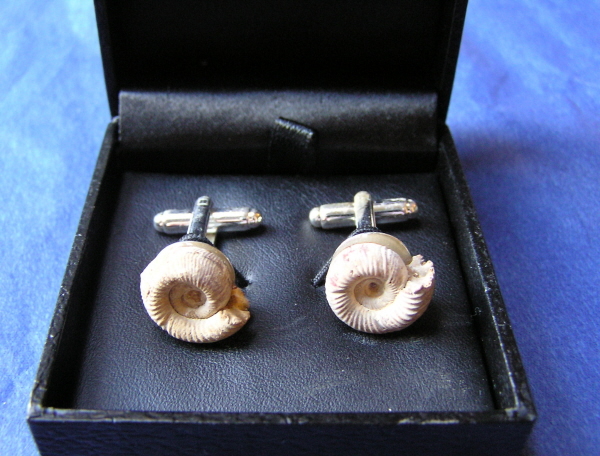 The cufflinks measure 2.7cm across at their widest point. 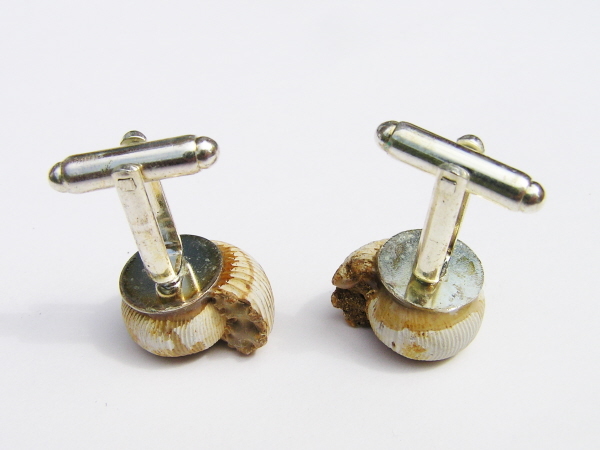 The cufflinks measure 2.6cm across at their widest point. 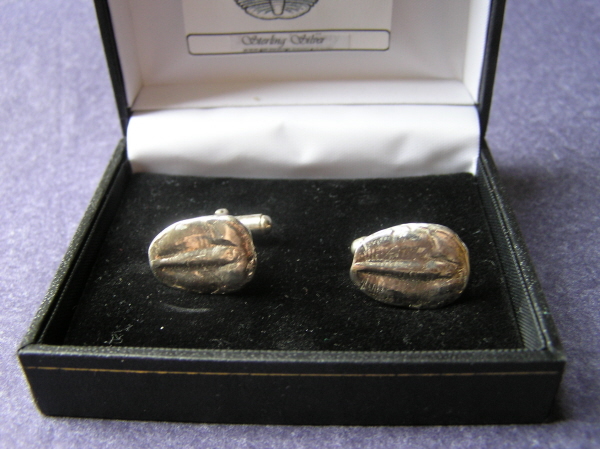 The Trilobite is Elrathia kingii - a very famous trilobite found in th USA in the Cambrian era 500 Million years ago. 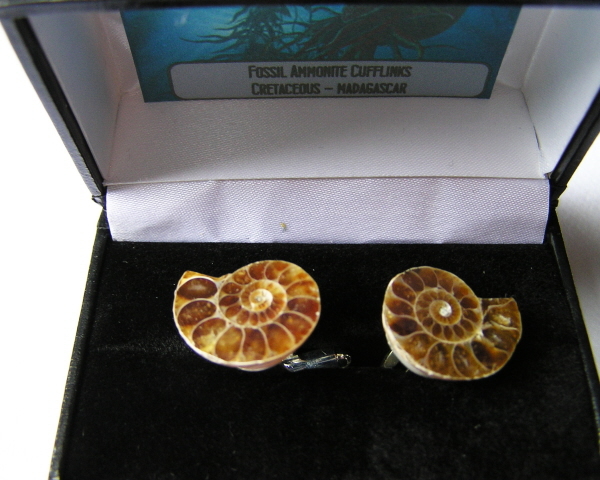 What could be more fun than wearing a reminder of an animal that lived over half a BILLION years ago! 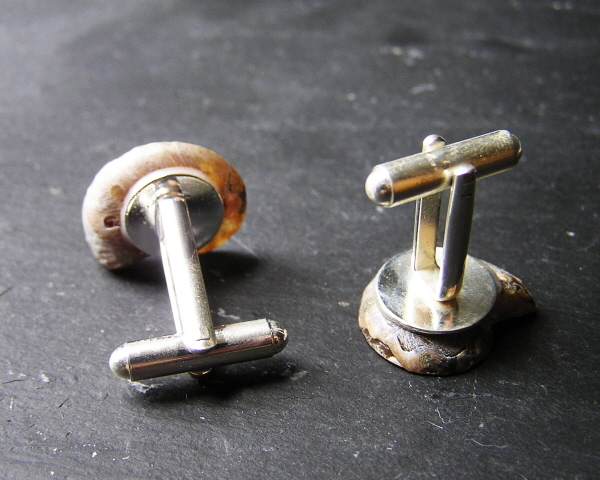 The cufflinks are each individually made with bespoke solid silver settings. 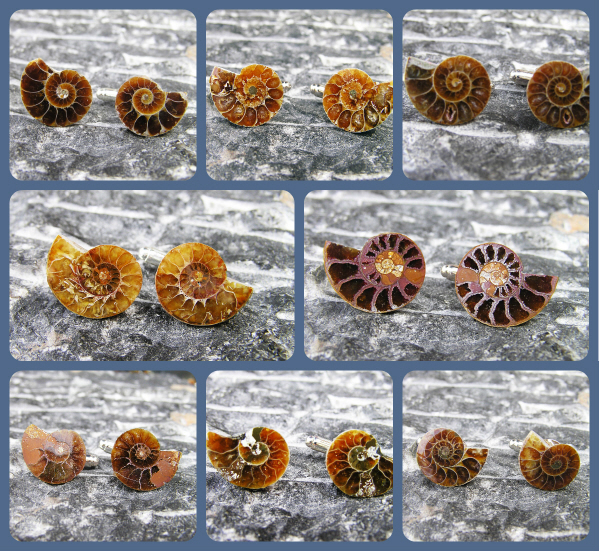 This takes a lot of skill and time, but the setting will protect the Trilobite forever.